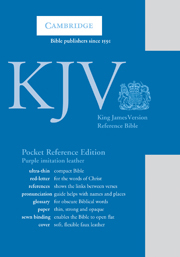 Published originally over 40 years ago, as the Crystal Reference Edition, this tiny book is one of the most compact reference Bibles ever produced. 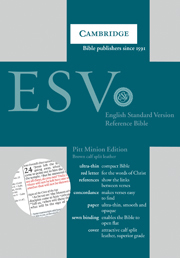 The type is small but bold and the Bible has exactly the same page layout and pagination as the renowned Concord Reference and Wide-Margin editions. 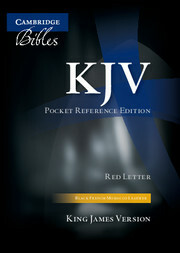 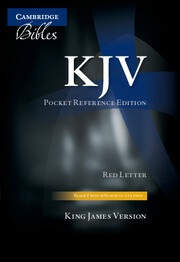 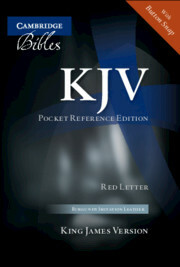 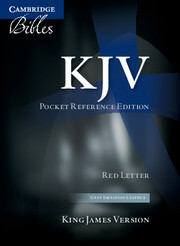 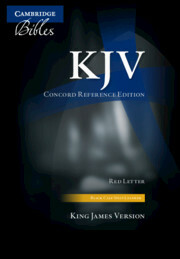 It uses the classic Times Semi-Bold typeface, with pronunciation marks and red-letter text for the words of Christ. 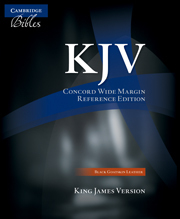 The Cambridge bold-figure cross-reference system leaves the text uncluttered and clear. 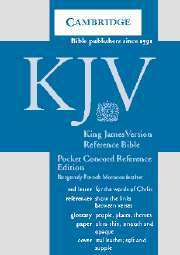 The Bible includes a glossary, is printed on gilt-edged India paper and bound with a ribbon marker and presentation page.